Contain sufficient technical, scientific, medical, or similar content to qualify as technical communication. Have been produced or substantially revised within 24 months preceding 1 September 2018. Have been originally prepared for and accepted for publication by a client, employer, or publisher (or be the work of a full-time student). Students can gain much from professional evaluation of their work. 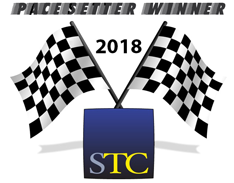 Student entries that have not been prepared for and accepted for publication by a client, employer, or publisher will be accepted in the STC WDCB chapter's competition. While such entries will be judged in our local competition, they cannot advance to STC's international competition (not held in 2018 or 2019) because they do not meet the publication acceptance requirement. The competition organizers reserve the right to reject any entry for any reason and refund the entry fee. Entries must be suitable for public display. Entries that contain classified or proprietary information such as corporate proposals or that violate copyright laws are not acceptable. It is the responsibility of the submitter, and not of STC, to determine that entries do not contain classified or proprietary information and that the holder of all copyrights has granted permission for the entry's submission. Neither STC nor anyone associated with the competition can be held responsible for loss of or damage to an entry. Materials prepared for STC purposes are not eligible for entry in the competition. Examples of these materials include STC Publications books; articles for Intercom and Technical Communication; and STC community websites, brochures, and newsletters. An entry must not have been entered in a previous STC competition and may be entered in only one local community competition. For example, if an entry is made to the Philadelphia Metro competition, that same entry cannot be entered in the South Carolina Midlands competition. Note: Duplicate entries (that is, entries sent to more than one chapter's competitions) are disqualified at the international-level (not held in 2018 or 2019). A single entry may be entered in only one category. The submitter (often a superior in the contributors' organization) must certify that the entry represents the actual work of the contributors named on the entry form and that the entry has been cleared for submission. The submitter must also certify that the copyright holder permits the submission of the entry. Note: The submitter receives all official correspondence regarding the entry. The submitter is responsible for all communication with the contributors about the entry, correct spelling of contributor's names and entry titles, and for distribution of any award notifications and awards. Note: Submitters do not receive an award certificate unless they are contributors and are listed among the contributors on the entry form. 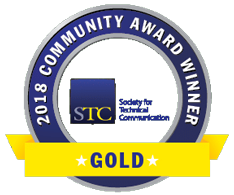 For the STC WDCB Technical Communication Competition only, extra certificates for additional contributors, clients, or corporate copies may be ordered if your entry wins a chapter-level award. An order form will be included with the award announcement letter. Note: Use the Additional Contributors form (.doc) provided for the STC WDCB Technical Communication Competition to list additional team members, clients, corporate groups, departments, or other organizations that you want included as contributors. The contributors' names should be as you want them to appear in the award certificate, the awards celebration program, and competition announcements. Entries may be submitted to any category as they will be judged based on the use of the material and not the medium on which they are delivered. The platform (such as Web, Windows, Macintosh, iPad, or any other electronic device) is not a consideration in determining the category. Entries that require a user login must include three separate logins for the judging team members to evaluate the entry. If the entry is provided on a USB drive, CD, or DVD, specify the format (PC or Mac) on both the submission form and the media itself. If you send compressed files, they must be self-extracting. Entries must install correctly, be virus-free, and not take an unreasonable amount of time to install. An entry on the Web is judged as it exists on the day of judging. If an entry uses any software other than the latest versions of Firefox, Adobe Acrobat Reader, Microsoft Internet Explorer, or media players, you must provide four (4) copies of the software with the entry. Demonstration of the entry to the judges is forbidden. What Equipment Will the Judges Use for Judging Online Entries? Entries will be judged on a variety of platforms, similar to how your target audience will view your entry. Judges typically will have a PC running Windows 8 or 10, or a Macintosh running OSX 10.12 or 10.13, and any required software supplied with the entry. All machines will have a CD-ROM drive, sound card, video card, and speakers. Web-based entries will be judged using Firefox or Microsoft Internet Explorer. You may specify another browser or version level on your entry form such as Google Chrome, Safari, Opera, Microsoft Internet Explorer 10, etc. Posters in printed form smaller than 11 x 17-inches should be mounted. Do not mount entries larger than 11 x 17-inches. Roll up the entry and send it in a mailing tube.